As soon as the lights went down at the Bank of New Hampshire pavilion the floor began to vibrate with the roar of the audience. You could feel the long-awaited anticipation of Poison. If you thought the crowd couldn’t get any louder, the first slam of the bass drum and slash of the guitar instantly proved you wrong. 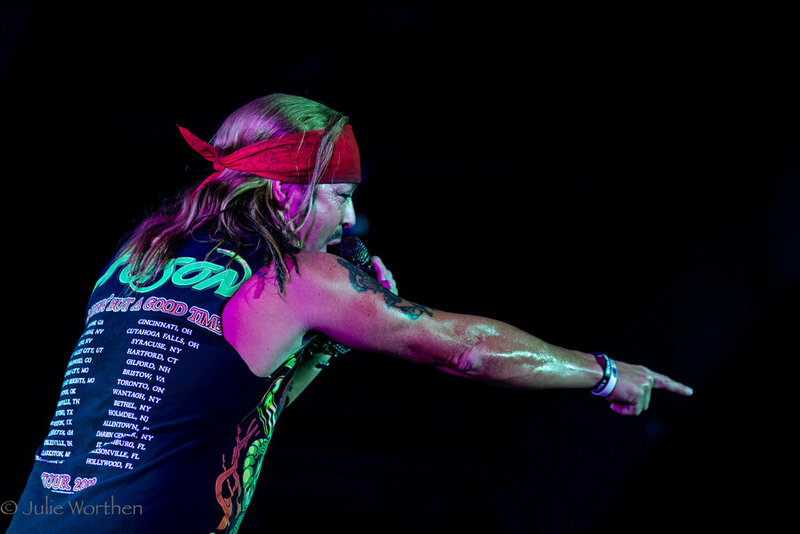 As soon as Bret Michaels walked on stage you could hear the crowd from Miles Away! From the first song to the last, the energy Poison performed with was electrifying. The first song “Look What the Cat Dragged In” had the entire crowd singing along. Drummer Rikki Rockett continuously tossed and twirled his sticks which acted as flourishes to his explosive playing. This continued throughout the entire night. Gilford New Hampshire is known for its bikers, with its location being only minutes from the heart of Laconia Bike Week. Bret gave a shout-out in appreciation for all the bikers in the attendance. He asked what song they thought would be appropriate for the bikers in the audience, and everyone knew the answer: “Ride the Wind”. The audience carried the melody of the song from the front of the pavilion to the back like a powerful ocean wave. Bret continued to pay tribute to the many amazing men and women of the armed forces. He talked passionately about how some of his family members are veterans and that he couldn’t be proude. He then brought veterans on the stage and thanked them for their service. Not a single person in the crowd was left without goosebumps as they honored and cheered on those who fought for their country. As the show went on, C.C. DeVille poured out such captivating energy that had an undeniable chemistry with the audience. His guitar solo had the entire audience on the edge of their seats, begging for more and pulling out their air guitars from the pit to the lawn. 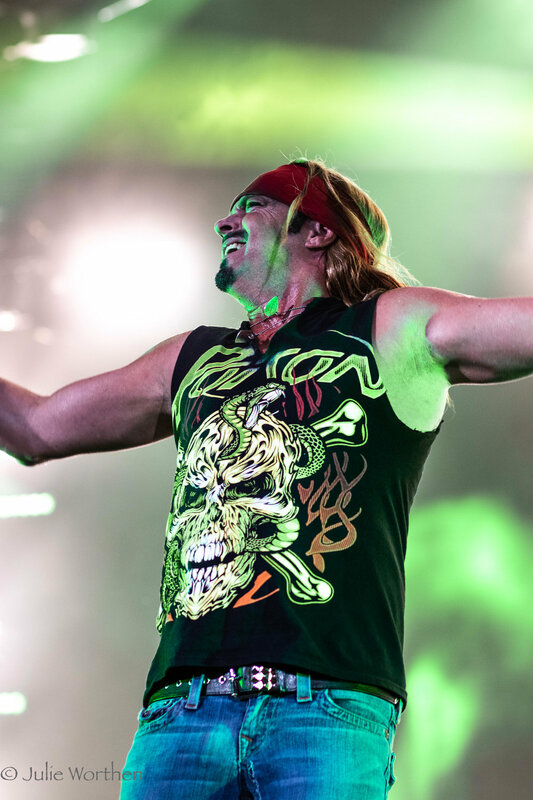 To close out the night, Poison encored with a cover of “Rock and Roll All Nite”, a perfect summary of the evening that had just unfolded. They brought back onstage Leigh Kakaty, lead singer of opening act Pop Evil to join them. The audience loved every second of it and was left wanting more, but appreciative of the emphatic performance they were able to witness. 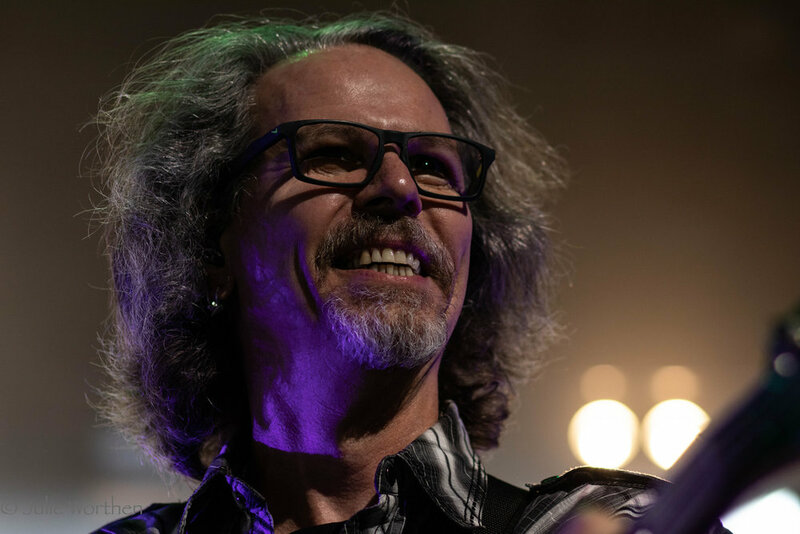 The applause at the climax of the show was deafening as the crowd shared their appreciation, passion, and respect for the rock band that has been able to not just persevere but thrive through the years, picking up generations of fans along the way. The one, the only, Poison.